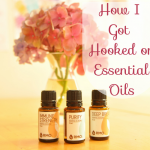 If you are like me, you love the idea of Essential Oils, but you may be intimidated by getting started. A bunch of boiled down flowers or plants that make natural immune boosters and mood lifters is appealing and if it all makes your house smell delicious, who could say no? But with all there is to learn, it’s tricky not to get overwhelmed. 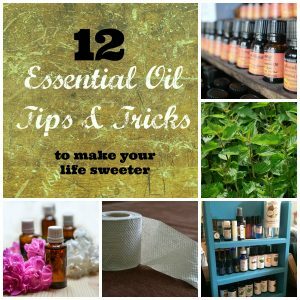 Let’s start simple with some easy tips you can use right away: Here are 12 Essential Oils Tips & Tricks to make your life sweeter….starting now! 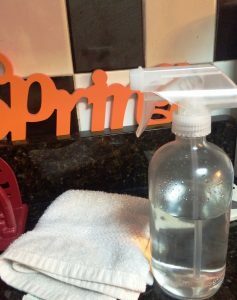 Essential Oils All Purpose Cleaner: The easiest way to incorporate Essential Oils into your daily routine is to make your own cleaner. 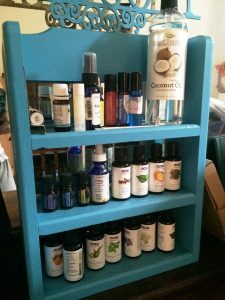 Simply combine 1 part vinegar, 2 parts water, and 5 drops of your favorite essential oil (try Tea Tree) in a glass sprayer bottle for an inexpensive spray that gets the job done! Clothes Pin Car Air Freshener: I love this tip and plan to employ it right away. Because wood is porous, a clothes pin is the perfect way of taking care of yucky odors. Just pour a few drops of oil on a clothes pin and clip it right to your car air vent. Fresh air, naturally! Bedtime Trick: Try 2-3 drops of Lavender on your child’s blanket or stuffed animal to help them relax and sleep well. Air Filter boost: When you change the air filters in your HVAC system, add a few drops of Citrus Essential Oils to the filter to freshen the air as it circulates through your home. Scented Playdough: My kids have always preferred homemade playdough and it’s easier than you think to mix up a batch! 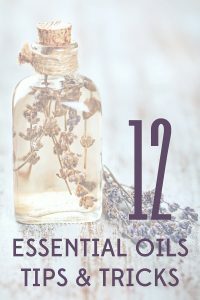 Prairie Homestead has a great tutorial to make it scented for therapeutic benefits along with a big dose of FUN! Bathroom Essentials: This tip couldn’t be easier, simply 2-3 drops of Essential Oils inside of a fresh roll of toilet paper to keep the bathroom smelling great! A Fresher Kind of Clean: A few drops of Essential Oils on the filter inside of your vacuum will continue to smell great as you clean your house. A little goes a long way with this simple hack! DIY Plug-In: Wax Warmers are an inexpensive way to distribute Essential Oils. All you need to do is fill the bowl with coconut oil and add a few drops of your favorite oils. As it warms the oils will gently scent the air! This really works! Scented Dryer Balls: I love these wool dryer balls scented with my choice of Essential Oils. 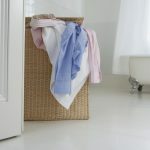 They help separate and fluff the laundry naturally while breaking up any static. 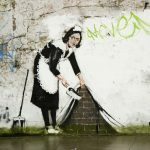 I’ll never buy dryer sheets again! 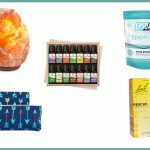 Aromatherapy Rice Pack: Here are simple instructions to make a rice bag scented with essential oils. If you aren’t great with a needle and thread, you can make a simple version by filling a large sock with rice and tying the end firmly closed! These are wonderful to loosen up tight muscles or soothe stomach cramps. 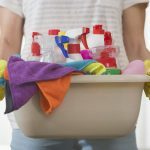 Freshen the Garbage: Rather than buying scented trashbags that are made with unnecessary chemicals, simply drop a cotton ball scented with oils in the bottom of your trash can to keep the bad odors to a minimum.There are literally hundreds of ways to use Essential Oils in your daily routine. What’s your favorite method? 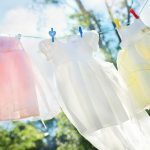 7 Smart Laundry Hacks That Will Lighten Your Load!